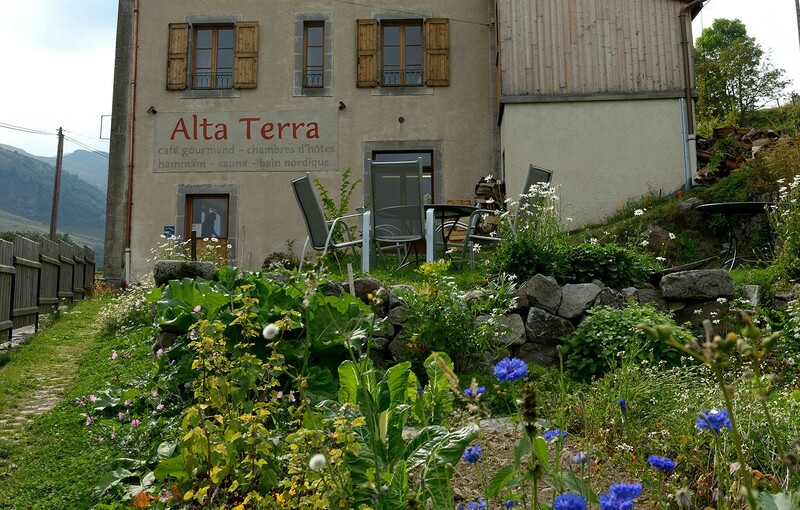 Welcome to Alta Terra, our Café and Bed & Breakfast located in the mountains of Cantal, in the heart of Auvergne! Scroll down to the bottom of each webpage to find a summary in English. We hope you will enjoy the numerous pictures that tell a lot about our place, even if you don’t understand the French text! If you have any questions or if you need more information, feel free to write us an email or to call us (+33 4 71 20 83 03). We both speak English.